Eagle Forage soybeans can put on more than 38 nodes per plant, while other soybeans can produce only 14 to 20 per stem. Eagle forage varieties, were developed to contain more branches, leaves, roots, and nodes, which means more food for your deer herd. Additional nodes, leaves, branches, and height allows the plant to withstand heavy browsing. Larger roots are also an advantage in poorer soils, and make our plants more drought tolerant. 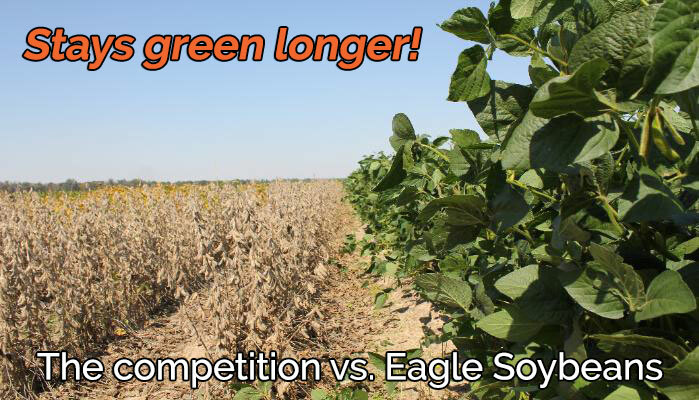 With larger roots, the Eagle Seed Forage Soybeans have the ability to grow in rocky, sandy soils in both higher and lower than ideal pH environments. Wildlife Manager's Mix RR was originally developed for northern customers; we have three selections available based on your geography (use map pictured above). Wildlife Manager's Mix RR is a custom, niche blend containing 5 varieties, 2 forage types, a climbing soybean, and 2 soybean varieties that are tall, high yielding and broadly adapted for your regional geography. The blend features 4 maturity groups which mature at different times and allow the deer to feed on both mature soybean and green leaf tissue. You will get high tonnage, excellent browse tolerance and great seed yield all in one bag. 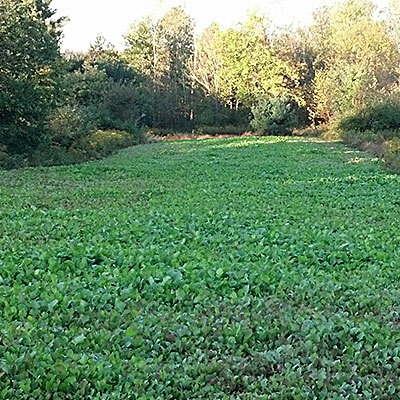 Large Lad RR is our most popular food plot variety and is known for its excellent seed yield and tonnage production. Similar to Big Fellow, Large Lad plants can reach heights up to 84 inches and provide excellent forage for deer and cattle. It is a favorite of hay producers due to its excellent nutritional qualities. Large Lad is easy to grow and has resistance to many foliar diseases, root rots, stem canker and races of nematodes. The forage varieties listed on this site are widely adapted to numerous soil types and can withstand tougher growing conditions than regular soybeans. 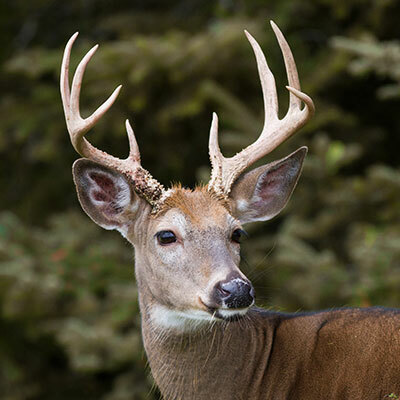 Large Lad is also available in the deer blends, Game Keeper, Wildlife Manager's Mix, and Habitat Haven. The deer blends are formulated for specific growing regions and can produce seed in even the most northern and southern US geographies. This variety will produce seed prior to frost if planted in the south and lower midwest. Big Fellow RR™ is an extremely tall, very large leafed Roundup Ready forage variety. It has been tested in numerous university trials and is an outstanding high protein, high tonnage producer. Big Fellow is also known for its drought tolerance and indeterminant growth habit which makes it truly rare. 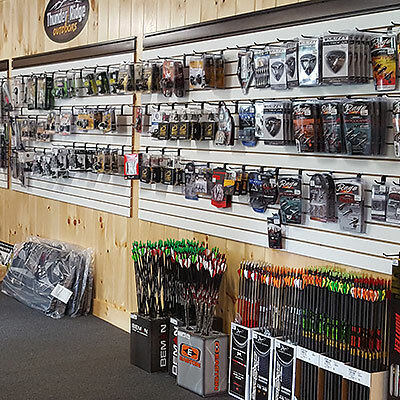 It can keep growing through heavy browsing by cattle or deer. It continues providing excellent nutrition later in the year after other varieties have completed their life cycle. Big Fellow is superior to both earlier and later maturing soybeans as a food for animals because it puts on more than twice as many nodes as a regular cultivar -- this means more height, tonnage, leaf area, and browse tolerance. This variety is a favorite of silage growers since it has a very high feed value...equal to alfalfa. 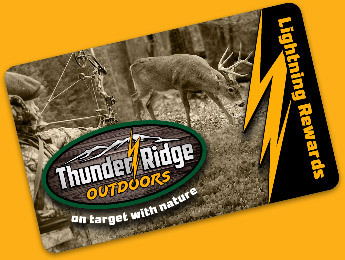 It has excellent seed yield and is available in the deer blends, Wildlife Manager's Mix, Habitat Haven, and GameKeeper. For full seed production plant this in the lower midwest or South. Game Keeper RR™ is our most popular food plot blend for lower mid-west and southern customers since it provides the longest growing season. This special blend contains Big Fellow, Large Lad, and the World's First and only Roundup Ready Climbing Soybean: Whitetail Thicket RR™. Whitetail Thicket RR™ is known for its amazing branching, vines up to 10 feet in length, and the long-green season it provides. Whitetail Thicket RR™ is an indeterminant group 8+ soybean with amazing drought tolerance and the ability to handle less than ideal soils..
Habitat Haven is a special order item available for specific growing regions and is known for providing excellent deer cover, tonnage and seed yield. It has a wide range of maturity groups and is easy to grow. It contains 2 varieties that are high-yielding in your region, along with Big Fellow and Large Lad. Contain more protein than other food plot crops. Stay green and attractive to deer longer. Provide up to 10 tons of food per acre. Produce up to 50 bushels of seed, even in drought conditions. More palatable than other food plots and other soybean varieties. Provide more nodes, more branches, more food. 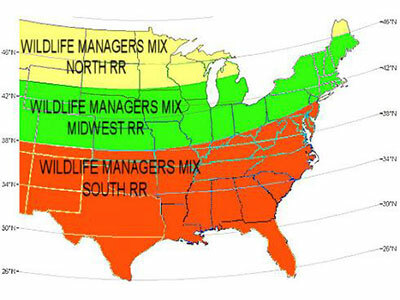 There are 3 selections of Wildlife Manager's Mix RR based on growing region. Use the USDA map (below) to determine which blend suits you best. If in a borderline area, always go with the more northern blend. *In the South (orange area), use Game Keeper RR Blend or individual varieties such as Big Fellow RR or Large Lad RR. Need a Seed Planter / Drill? Check out our Food Plot Equipment page for more information on the Esch No-Till Drill and the Firminator Disk-Drill.